Police are trying to determine who should face charges after fists go flying at a youth football game. 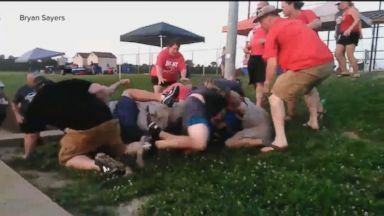 Cell phone video shows parents breaking out into a brawl during a softball tournament, resulting in both teams' being kicked off the field. 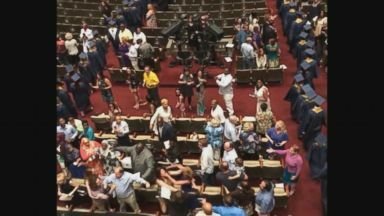 The fight broke out in Memphis, Tennessee at the graduation for Arlington High School.